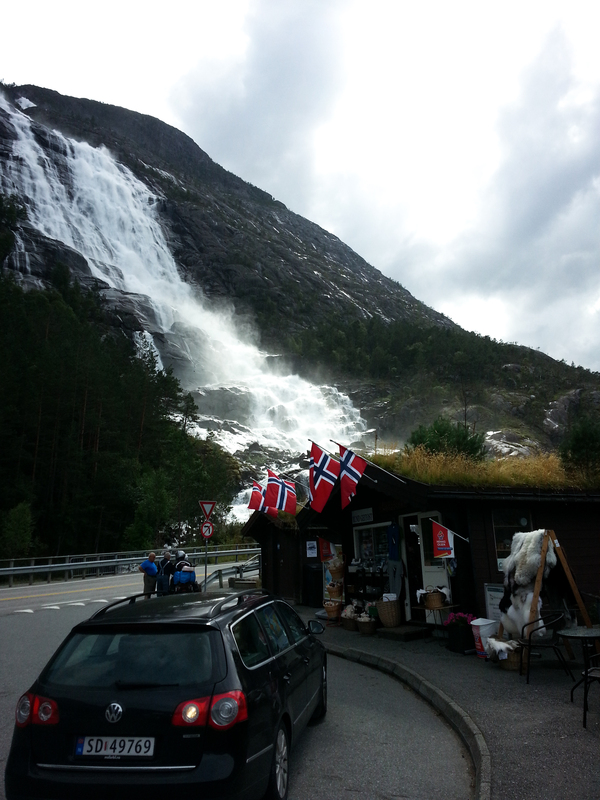 Along the E134 highway, between Markus and Skare, rumbles one of the five highest waterfalls of Norway: the Langfoss. Literally: long (lang) waterfall (foss). 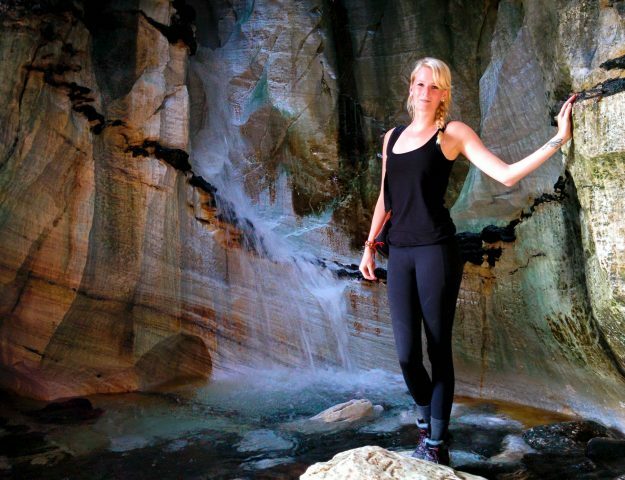 Because of her wondrous surroundings and accessibility, the Langfoss has earned a spot on the CNN list of the 10 most beautiful waterfalls in the world. 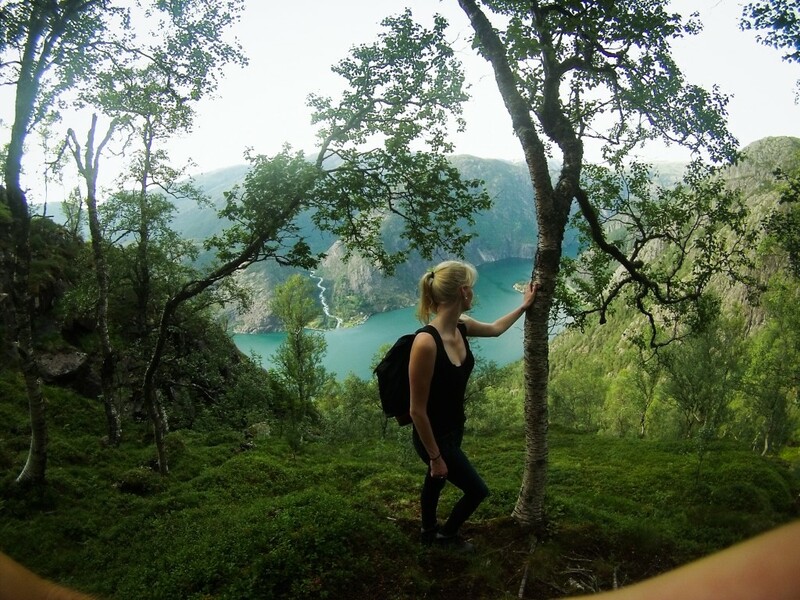 The Langfoss is not only super impressive to watch herself, but the waterfall rages 600 meters down from the river Tjørna right into the bright green Åkrafjord terecht. On the opposite of the fjord is another little waterfall that ends into the fjord. All of this combined makes a dreamy scene that causes touringcars full of tourists to use the emergency brake when they pass this amazing occuring. 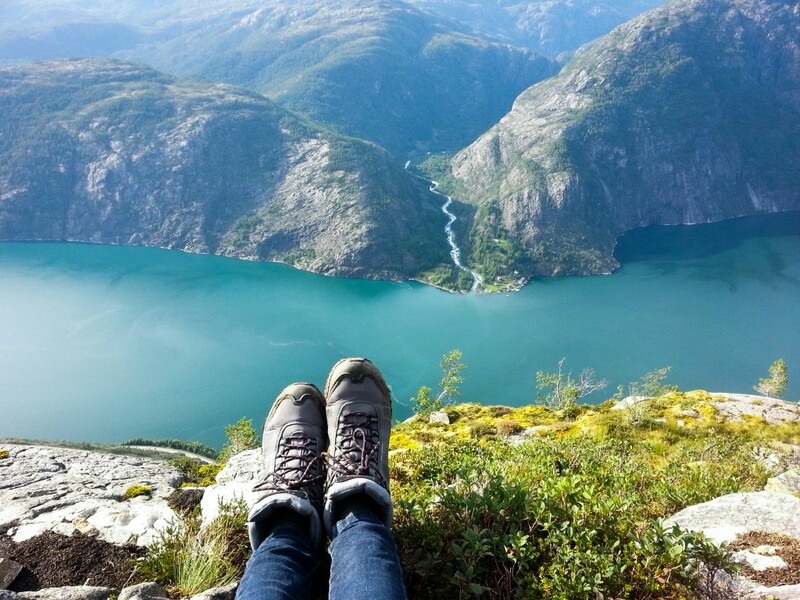 And ofcourse Norway wouldn’t be Norway if you couldn’t hike up the Langfoss. The path along the waterfall was originally a mountain path from the Eljarvik farm up to the Langfoss farm at the top of the mountain plateau. Many generations have struggled their way up the mountain with their life stock to transport butter and cheese from farm to farm. How do you get to Langfoss? 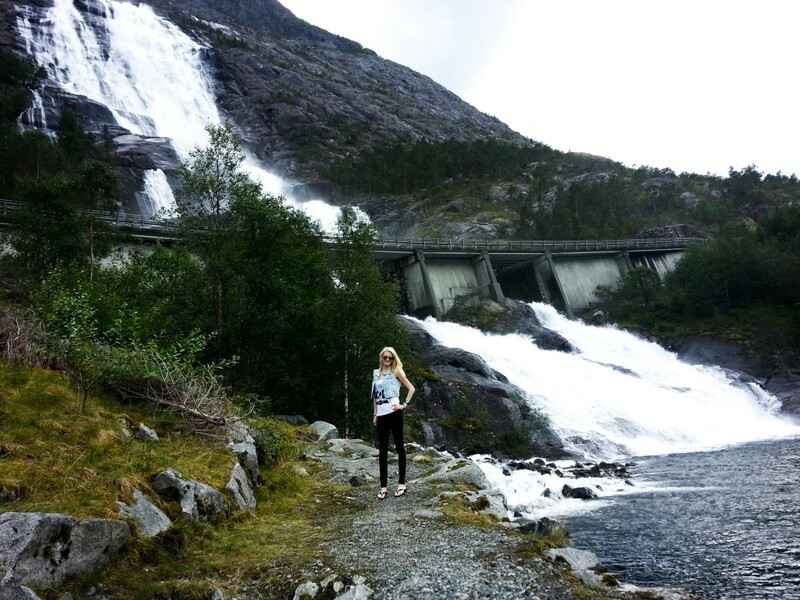 It’s a 30 minutes drive from Odda to the Langfoss. 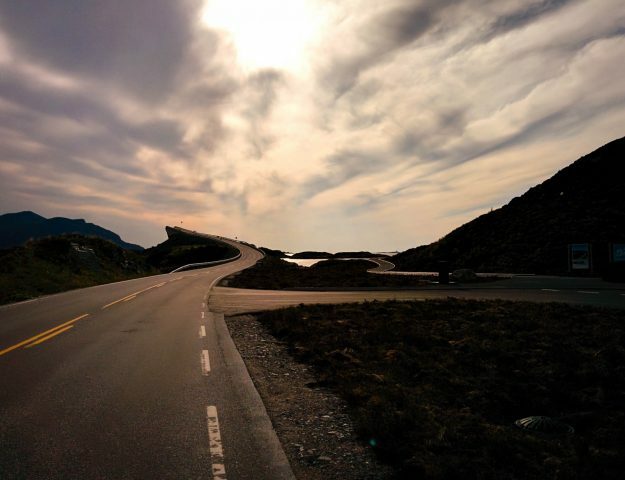 Drive through the E134 from Skare in the direction of Etne and you will find the Langfoss on your left hand after 21 kilometer. 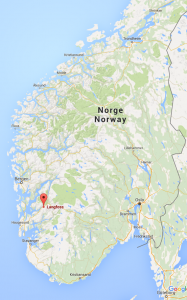 It’s quite hard to miss, but if you want an adress for you navigation you can use Langfoss, 5598 Etne. Last but not least: ALWAYS bring food and water with you when you’re going for a hike. This hike is not very long, but it’s quite hard. You might want to bring energy bars, some fruit and most important: enough water. We already had been driving for 3,5 hours when we arrived at the Langfoss. From a big distance you could already see it surfing downhill. Especially with the sun behind it, it looked so pretty! Across the street we found a parking lot with picnic tables, toilets and a kiosk where you could buy souvenirs. You could cross the street through a tunnel to the starting point of the hike. We decided to stop by at the little store and ask about the hike. “Oh, it’s quite easy”, the kind and cheerfull lady said, “An hour and a half hike”. Since I was an amateur hiker (I literally did one hike before this one and that was the day before) she convinced me to go and give it a try. Bart-Jan had a very hard time convincing me and my sore muscles to get up that mountain until then. I still don’t know if the woman was involved in some sort of conspiracy that Bart-Jan set up, but it was definately NOT an hour and a half hike. It was 4 hours of sweating, grumbling, cursing and raging. We had to walk 640 meters up by walking a 1750 meters long mountain path. To me (I was still a smoker and hated working out back then) it was quite a big challenge to walk such a steep hike. The first part of the hike was very steep, but there was so much to see that I couldn’t even be bothered. The scenery was absolutely gorgeous! 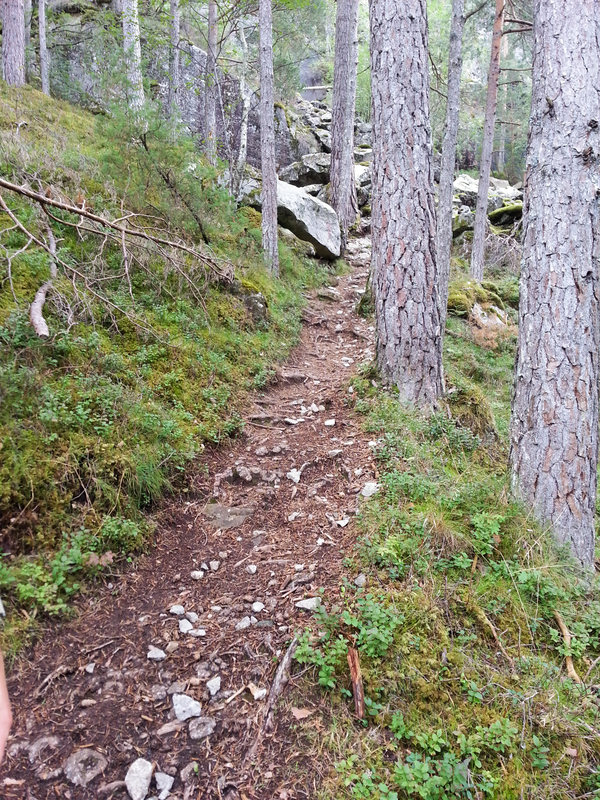 The mountain path has been kept all natural and there were a lot of trees, stones covered in soft moss and cute, little waterfalls with puddles surrounded by rock formations. It felt super dreamy and I wouldn’t be surprised if there lived trolls and elfs there! Sometimes the sunlight popped up as if it was golden hour during the day and made the moss and the trees look even more green. It’s moments like this that remind you of the reason why you’re hiking. It didn’t even matter that I had to take regular breaks to catch my breath and rehydrate, because we got the chance to look around, soak up our surroundings, enjoy the amazing scenery and ofcourse, take a couple (no, a lot) of pictures. The second picture is a ‘Where’s Waldo?’-image! Once we passed the treeline the view got even prettier. 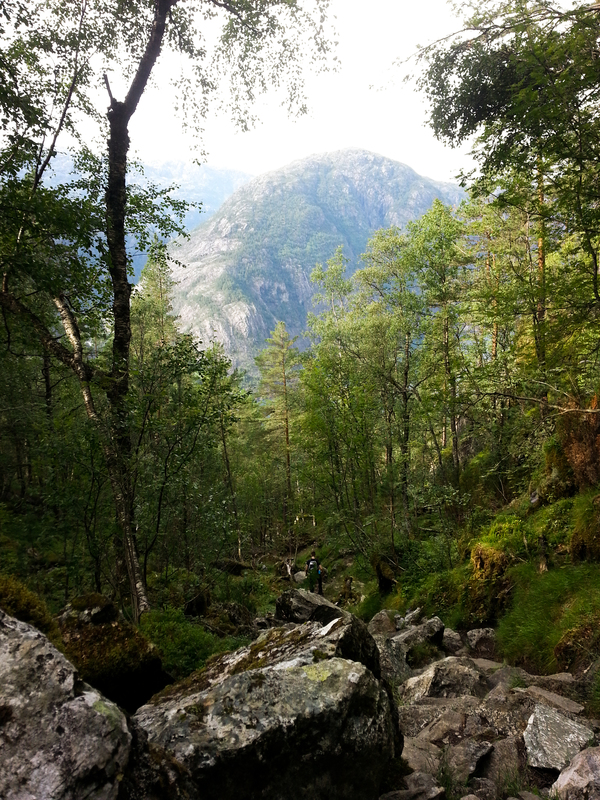 From out of nowhere the bright green Åkrafjord showed up from down in the valley to encourage us. We could also catch a glympse of the southern part of Folgefonna National Park, with the Folgefonna glacier forming the highest point of municipality Etne. After four hours of blood, sweat and one of the biggest tests of our entire relationship, we reached the summit of the Langfoss. Because of the backbreaking hike and breathtaking view, I could do nothing but burst into tears. This was the most beautiful thing my eyes had ever seen and I was so proud of myself. I didn’t give up. I hiked this mountain with my own legs. In terms of emotional discharge this is, up to the present day, the most stunning hike we ever did. Especially because this hike changed my life forever. Apart from a work-out for the body, hiking is a very good work-out for the soul as well. It’s a constant battle against your own being that you can only win by not giving up. Our tour to the summit of the Langfoss turned out to be the eye opener that every hiker gets once in a lifetime. I extended my cursing dictionary by 80%, probably lost a Langfoss in sweat while trying to get to the top and cried because of the sore muscles the next day, but by the dawn of the third day it was all very clear to me; I was hooked. 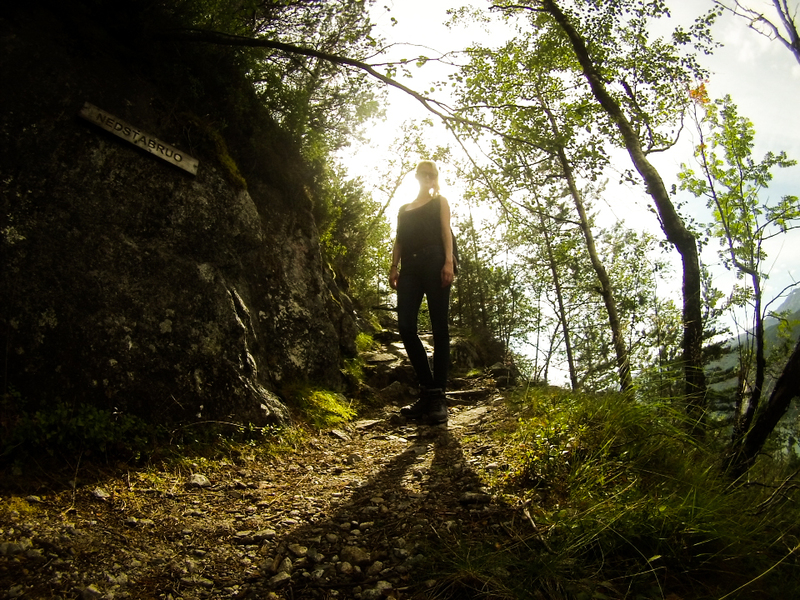 I got addicted to hiking. And I still haven’t found a cure. 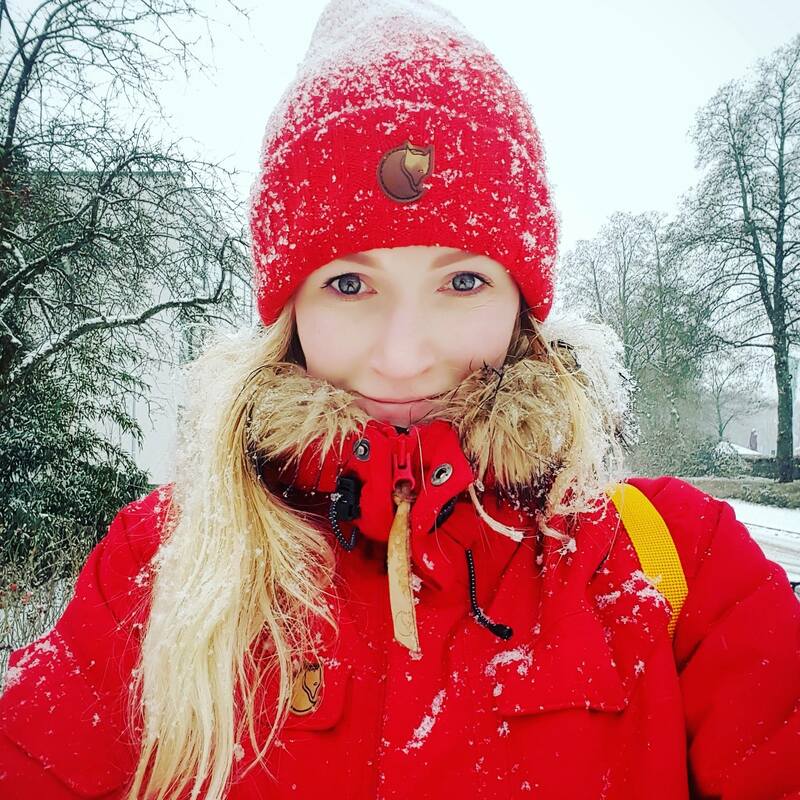 What a wonderful blog Michelle and Jan! So inspiring and I am so happy you perservered to make it to the top! 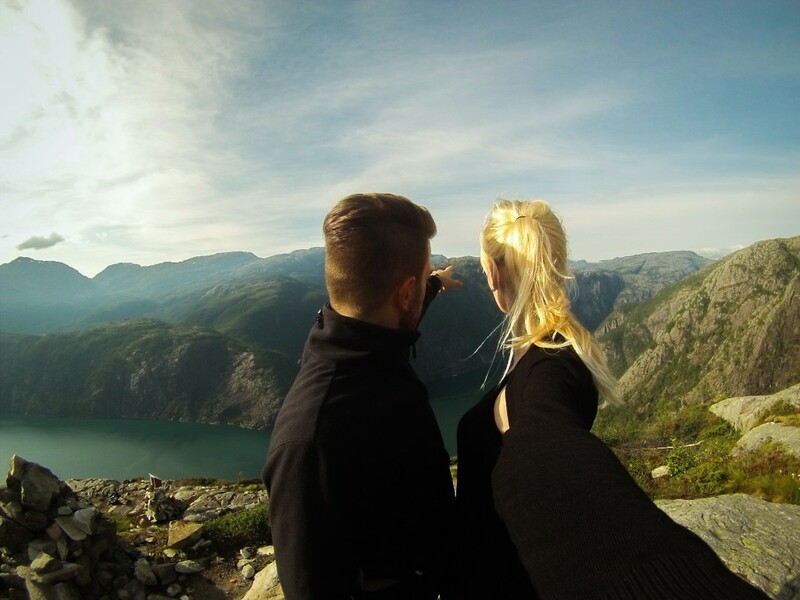 We can only imagine how awesome the feeling must have been to have succeeded in making it to the top,…and the view! Just like in Life, the walk can be very hard at times, but the scenery along the way and the view from the top is amazing! Love your photos too!